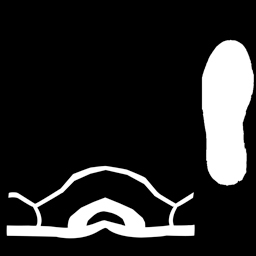 Apply the G2 character’s shoes. Click Modify tab in the File Manager. Press the Launch button of the diffuse map setting. 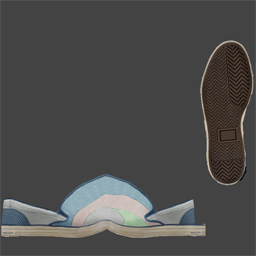 It will open the diffuse texture map for the shoes in the default image-editing software. Paint, edit and save the image in your image-editing software. 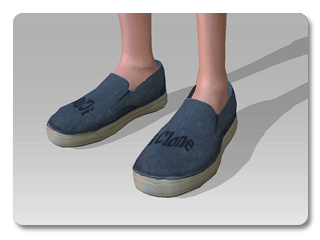 Click Update button in iClone to change the diffuse texture map of the shoes. Press the Launch button of the opacity map setting, then press the UV Ref. button to open the mesh image of the shoe. 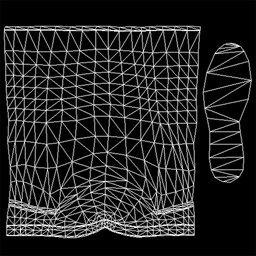 The opacity texture and the mesh will be opened in the image-editing software in grayscale format. 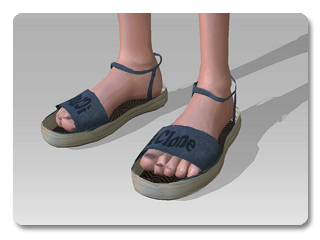 Paint the part you want to cut off in black, or paint in gray to make the shoe semi-transparent, in accordance with the mesh image. Save the opacity texture. 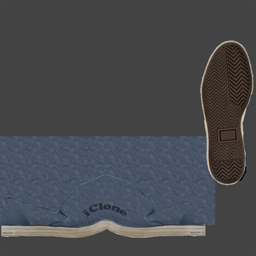 You can click the Export button to save the texture of the shoes for further use or packaging for Texture pack. This feature can only applied to the G2 characters.